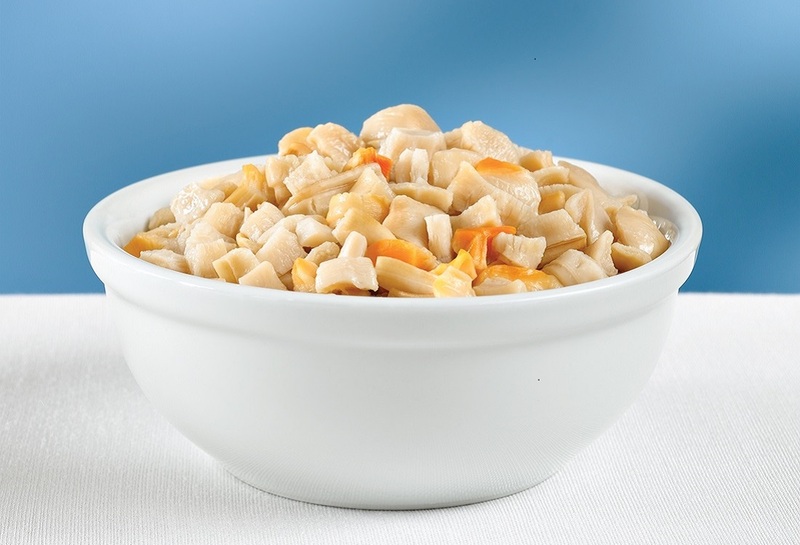 Sea Watch Chopped Sea Clams are a product made from the Atlantic Surf Clam (Spisula solidissima), which are harvested in US federally regulated waters. The harvest area is called the “Mid-Atlantic Bight” which is roughly a 40,000 square mile area off the coast of Virginia to Massachusetts between 3 miles and 200 miles offshore. The Sea Clam has long been considered the prize of the sea because of its naturally tender texture and sweet flavor. The Atlantic Surf Clam is also a terrific low fat and low cholesterol source of protein. Chopped Sea Clams have been under federal management since 1977 and are considered by many to be one of the best-managed fisheries in the world. *Nutrition information is based on Sea Watch Chopped Sea Clams. Sea Clams and Sea Clam Juice, Salt, Sodium Tripolyphosphate (to retain natural juices), and Calcium Disodium EDTA (to protect color). Sea Watch 01S31 – 12/51 oz. Sea Watch 0S31 – 6/51 oz. Capt Fred 01S47 – 12/51 oz.